The Psychotronic Zone: Time for zome zilly happiness! Hey gang! One of our favorite comedies. U seen it b-4 but its always funnier with a crowd. That's right. 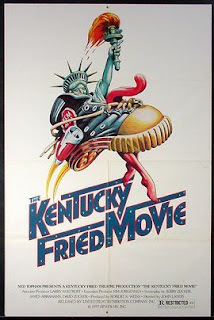 The Kentucky Fried Movie! Come join us tonight and get whacky. Why not invite your office or your boss.